The Foundation for Angelman Syndrome Therapeutics (FAST) is proud to announce the launch of the most aggressive, novel and innovative research program to date into finding treatments and a cure for Angelman Syndrome (AS). The FAST Integrative Research Environment (FIRE) is a coordinated consortium of leading researchers working together to identify, characterize and implement new therapeutics for the treatment and ultimate cure of AS. Evidence strongly suggests that therapeutic intervention can ameliorate many, if not all, of the symptoms associated with AS, which include seizures, severe verbal impairment, cognitive and motor challenges. The underlying cause of AS is the loss of function of the maternal copy of the UBE3A gene. In the brain, the paternal copy of UBE3A is intact, but is epigenetically silenced in most regions. The FIRE team will aim to identify new therapeutics to treat AS and associated symptoms while simultaneously identifying ways to safely reactivate the paternal UBE3A allele, which may provide a true cure for this disorder. FIRE launches with four prominent Angelman Syndrome researchers and an initial commitment from FAST US of $648,000 and FAST Australia of $150,000, totaling $798,000 for the first year of the project. FAST Australia’s investment of $150,000 to the FIRE initiative will provide funding for an Australian postdoctoral fellowship, allowing for a qualified researcher to work in a US laboratory conducting Angelman Syndrome research. The expertise gained by the fellow will pave the way for expansion of research to Australia upon his/her return. Additional collaborations with other international organizations and researchers will help extend and expand the reach of FIRE worldwide. FAST intends to generate a minimum of ten million dollars to allow additional researchers and their teams to enter the initiative as funds are raised. The four inaugural researchers bring unique expertise and perspectives to this endeavor. The combination of their abilities ensures research is not duplicated in multiple laboratories, but rather endorsed by fellow investigators, bringing results from bench to bedside in the most efficient and cost effective timeframe possible. The FIRE model allows researchers to focus on identifying, validating and implementing novel treatments for AS while simultaneously evaluating existing FDA approved drugs, novel compounds, specific interventions, and new animal models. Samples, resources and data can be shared almost instantaneously to increase efficiency and reduce overall costs. FIRE will exponentially escalate the journey towards our ultimate goal – a cure for Angelman Syndrome – by bringing together prominent AS researchers to not only collaborate but also exchange information in real-time. Synaptic function and neuronal morphology. This research strategy has already proven to be useful in identifying potential therapeutics with the identification of Minocycline, a common antibiotic, which was found to have profound effects in the mouse model and is currently in a FAST-funded, Phase II clinical trial as a potential therapeutic for Angelman Syndrome. Long-term research will involve a collaborative effort with Dr. Segal to develop a novel rat Angelman Syndrome model. 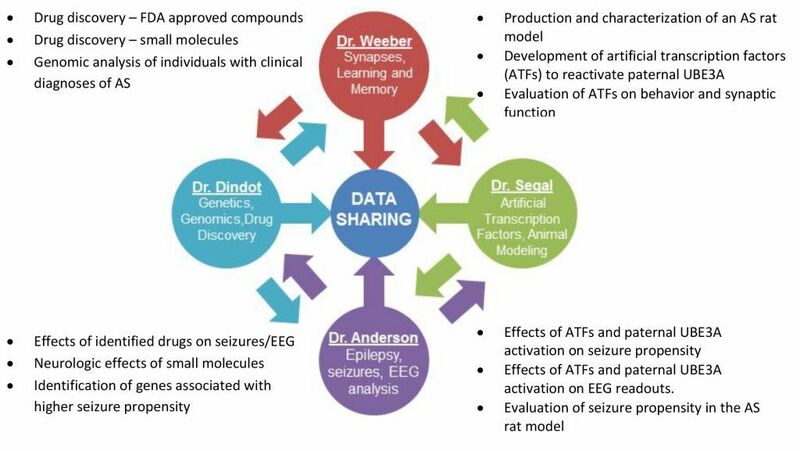 This model will be a better experimental model for future therapeutic development and is an integral aspect of Dr. Segal’s research objectives (described below). Dr. Segal will also continue development of artificial transcription factors to reactivate the paternal UBE3A allele. In addition, collaborative efforts with Dr. Dindot will work to identify small molecule precursors to activate the silenced paternal UBE3A allele. Dr. Weeber and Dr. Dindot will use different identification approaches and cross-verify potential positive results with each other. Any positive results will be disseminated to Drs. Segal and Anderson. Dr. Weeber will also work with Dr. Dindot’s Laboratory to identify novel genetic mutations in individuals with clinically diagnosed Angelman Syndrome. The genetic testing is described below in Dr. Dindot’s research plan. Novel mutations identified by Dr. Dindot will be evaluated in the AS mouse and human tissue. This may lead to the identification of new pathways involved in AS and provide additional therapeutic targets for study. Dr. Anderson is an Associate Professor of Pediatrics in the Departments of Neurology and Neuroscience at Baylor College of Medicine. The Anderson lab is focused on understanding the molecular mechanisms by which signaling pathways modulate neuronal excitability in the immature hippocampus. The lab is also investigating how and why seizures induce long-term changes in ion channel plasticity (acquired channelopathies) and has developed several animal models of cortical dysplasia, autism and epilepsy. Additional studies are focused on cardiac mechanisms underlying sudden death in epilepsy. 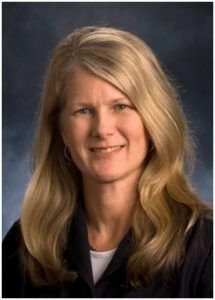 In addition to her research activities, Dr. Anderson has an EEG rodent core in the Neurological Research Institute (NRI) and practices pediatric epilepsy at Texas Children’s Hospital (TCH), where she is medical director of the epilepsy monitoring unit. Because of Dr. Anderson’s role in the clinical epilepsy program at TCH, she is focused on translational research involving developmental disorders that are associated with epilepsy and brings this expertise to the current project on Angelman Syndrome. ​Dr. 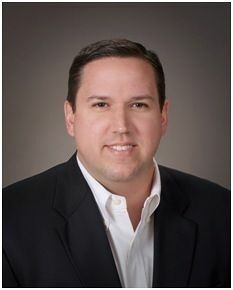 Scott Dindot is an Assistant Professor at Texas A&M University, where he has appointments in the Department of Molecular and Cellular Medicine within the College of Medicine and in the Department of Pathobiology within the College of Veterinary Medicine and Biomedical Sciences. He received his doctorate degree in Genetics from Texas A&M University, where his research focused on the study of genomic imprinting and epigenetics in domestic animals. He was a NIH Postdoctoral Fellow at Baylor College of Medicine in Dr. Arthur Beaudet’s laboratory, where he investigated the Prader-Willi/Angelman syndrome (PWS/AS) imprinted domain and the pathogenesis of AS. A major focus of research in Dr. Dindot’s laboratory is aimed at unraveling the cellular and molecular mechanisms regulating genomic imprinting of the AS gene, Ube3a. Other research topics in his laboratory include understanding the function of the human UBE3A isoforms and the dissection of elements regulating imprinting of genes within the PWS/AS imprinted domain. David Segal is an Associate Professor in the UC Davis Department of Biochemistry and Molecular Medicine and in the Department of Pharmacology. He is also the Associate Director of Genomics in the UC Davis Genome Center. He received his Ph.D. from the University of Utah, Salt Lake City, UT in 1996, where his dissertation research focused on methods to stimulate recombination with double strand breaks in DNA. Seeking better methods, he pursued post-doctoral studies with Dr. Carlos F. Barbas III at The Scripps Research Institute, La Jolla, CA, where he helped develop one of the most widely used methods for engineering zinc finger DNA-binding proteins. 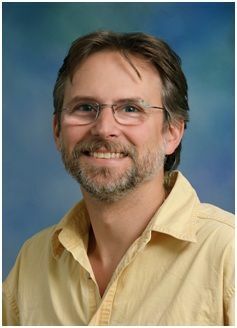 He joined the University of Arizona as an Assistant Professor in 2002 and moved to UC Davis in 2005. Dr. Segal’s research continues to focus on engineering DNA-binding proteins as molecular tools for gene therapy and biomedical research. He is a recent recipient of a Medical Research award from the W.M. Keck Foundation. Dr. Segal’s involvement with neurologic disorders began when a group of parents and researchers contacted him about the possibility of applying zinc finger technology towards the treatment of Angelman Syndrome (AS). AS is caused by a complex set of genetic events that ultimately manifest in the epigenetic silencing of the paternal gene UBE3A in the brain. The lack of maternal UBE3A decreases synaptic plasticity, leading to profound learning impairments, such as lack of language. The Segal lab has developed zinc finger-based artificial transcription factors that appear to cross the blood-brain barrier and promote widespread activation of the silenced Ube3a gene in the brains of an AS mouse model. The treatment appears to produce a behavioral rescue for at least one phenotype in the mice. 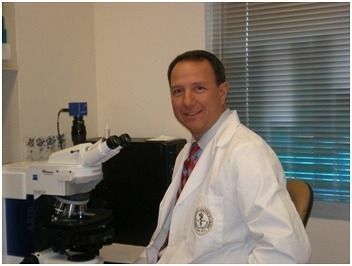 Dr. Edwin Weeber is a Professor at the University of South Florida in the Department of Molecular Pharmacology and Physiology. He is Director of the Neurobiology of Learning and Memory, the Cellular Electrophysiology and the Murine Neurobehavior Laboratories. His research is conducted at the USF Health Byrd Alzheimer’s Research Institute, where he is currently the Chief Scientific Officer. Dr. Weeber began his Angelman Syndrome research in 2001 as a Post-Doctoral Fellow at Baylor College of Medicine. His work has focused on understanding the molecular mechanisms underlying the cognitive disruption in the Angelman Syndrome mouse model. He is currently the Primary Investigator for a human clinical trial to determine the effectiveness of the antibiotic Minocycline in the treatment of Angelman Syndrome.